Click to enter to win Bobbie’s book: a Rafflecopter giveaway! Bobbie Thomas has created a one-of-kind niche in the style sphere as a “professional girlfriend,” encouraging the use of fashion & beauty as tools to help the outside match the inside. Most notably, Bobbie serves as the Style Editor on NBC’s Today Show and for seven years, she highlighted celebrity trends in her column “The Buzz” in In Touch weekly. Bobbie has been featured as a recurring correspondent and guest on a variety of E! Entertainment specials including red-carpet Emmy, Golden Globe and Academy Awards coverage, as well as co-hosting the Style Network’s Fashion Police. 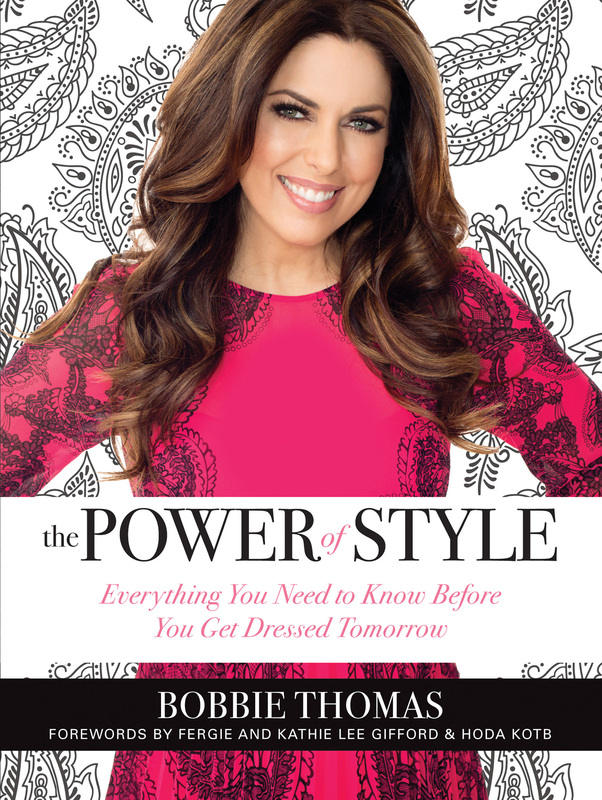 For a peek into Bobbie’s book, click here for a PowerofStyleExcerpt & watch the video! Giveaway will close July 3, 2013 at midnight. WordPress doesn’t currently support embedded video via Qwiki but when the new app officially launches you can follow all my qwikis!